Selecting suitable mechanical thermometers for a process is not a quick task. Bimetal thermometers or gas-actuated thermometers – the decision on the type of thermometer alone depends on several factors. 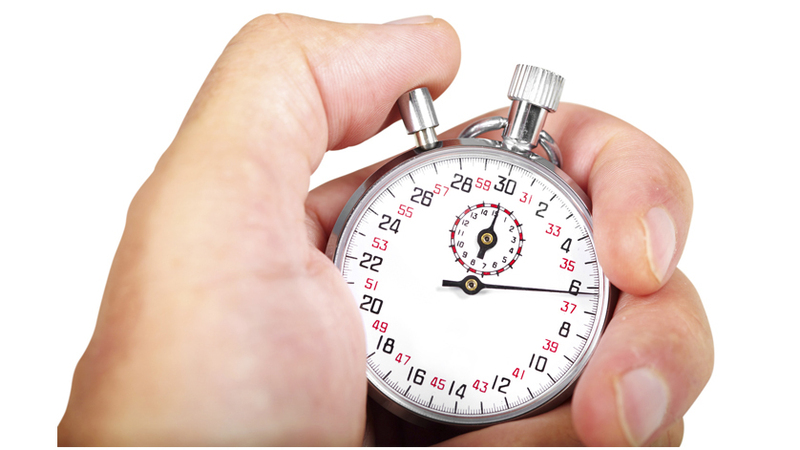 One of the most important selection criteria is the response time of the measuring Instrument. When it comes to speed, there is no way around gas-actuated thermometers. As a rule of thumb, these thermometers take about 30 seconds for a temperature adjustment from 10°C to 90°C. A bimetal thermometer would display the same final value after 90 seconds. Due to their short response times, gas-actuated thermometers are particularly suitable for integration into switching requirements. The difference in speed is explained by the different functional principles of the two thermometer types – unlike the bimetal thermometer (which uses the principle of different expansion coefficients), the measuring system of a gas-actuated thermometer is filled with helium under pressure. Any change in temperature causes an immediate change in internal pressure in the stem. The pressure deforms the measuring tube and the deflection is transferred to the pointer via a movement. As with other measuring instruments, in critical processes, mechanical thermometers must also be combined with a thermowell. It should be considered that such a sleeve will also have an influence, to some degree significant, on the response time of the thermometer. To what extent, depends on the material and wall thickness of the thermowell. Further details on mechanical thermometers can be found on the WIKA website under the headings Dial thermometers and Thermometers with switch contacts.